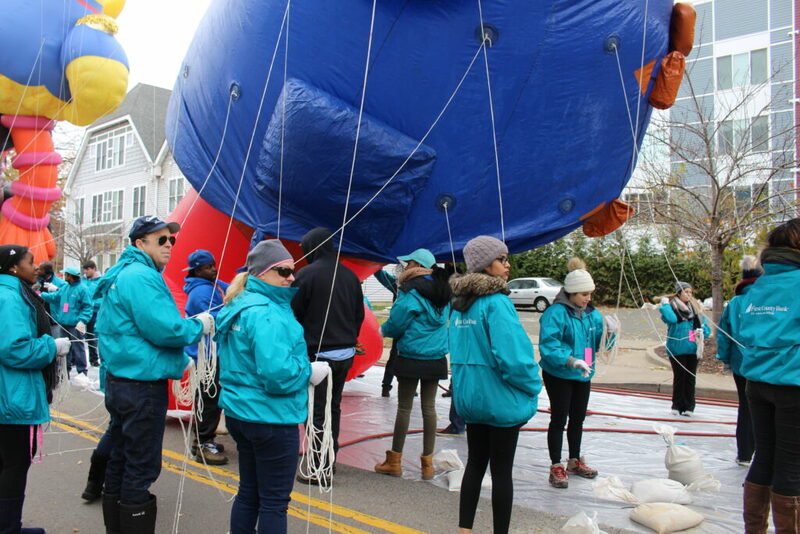 After two years of inclement weather, Sunday brought us great “flying” weather. 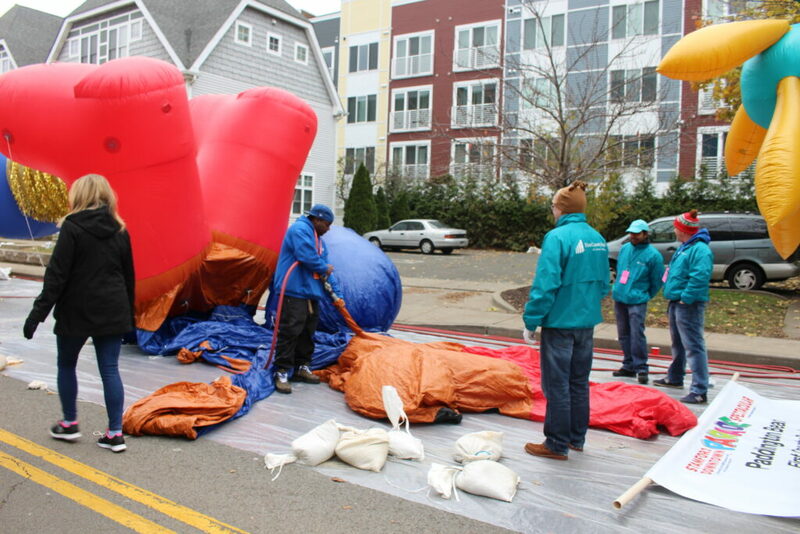 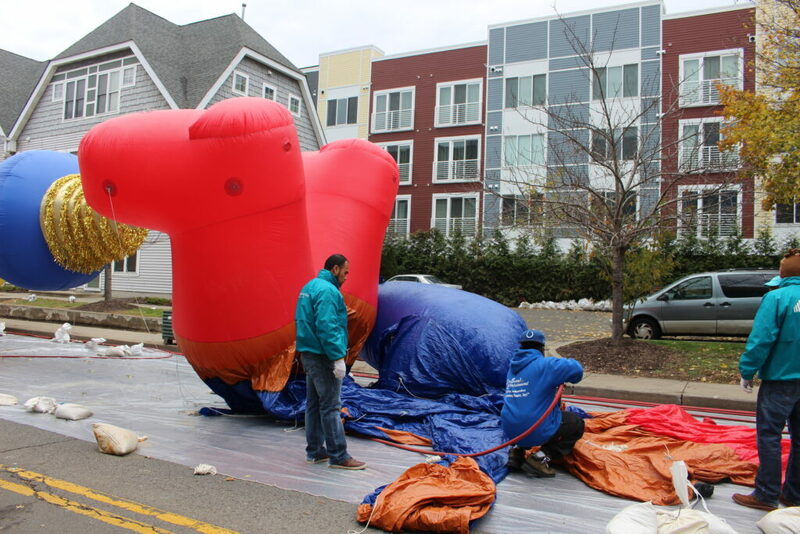 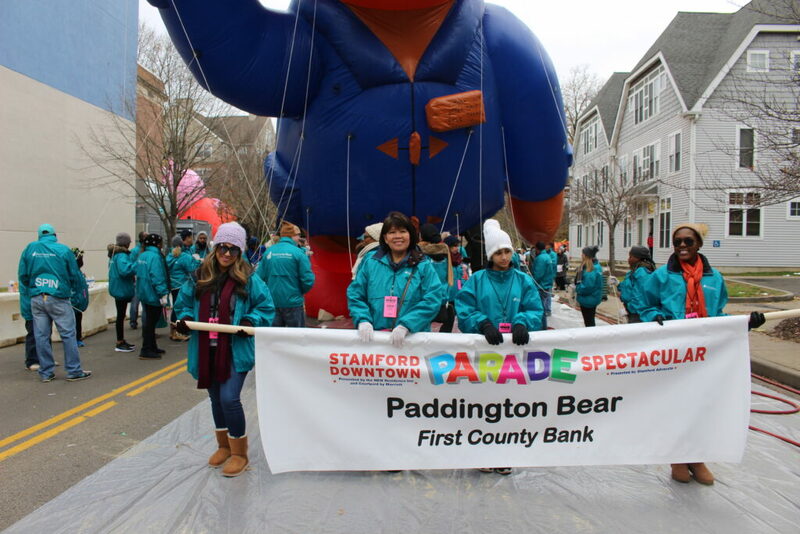 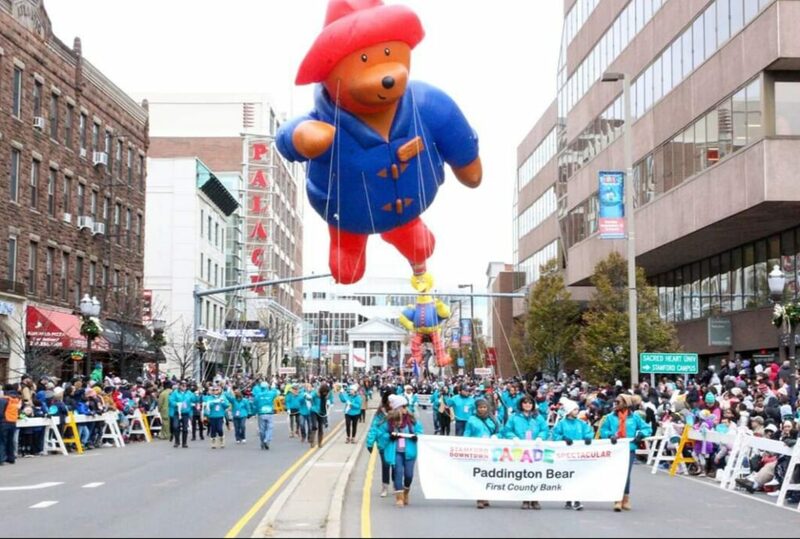 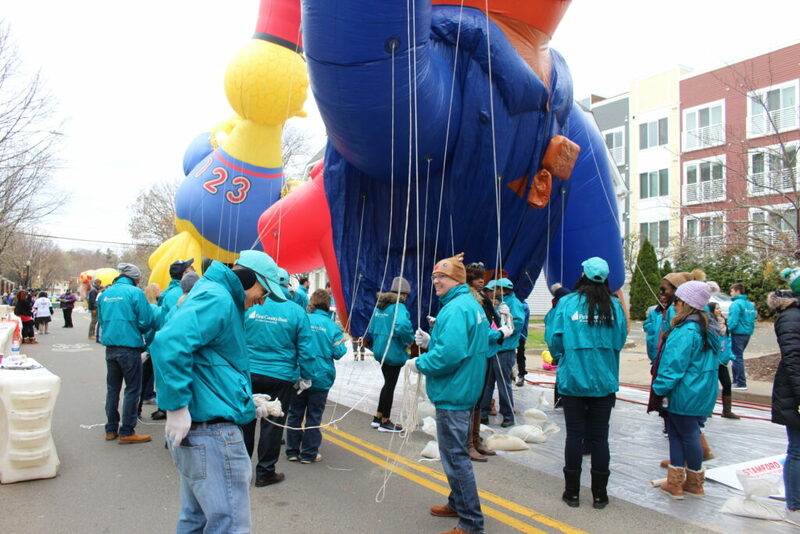 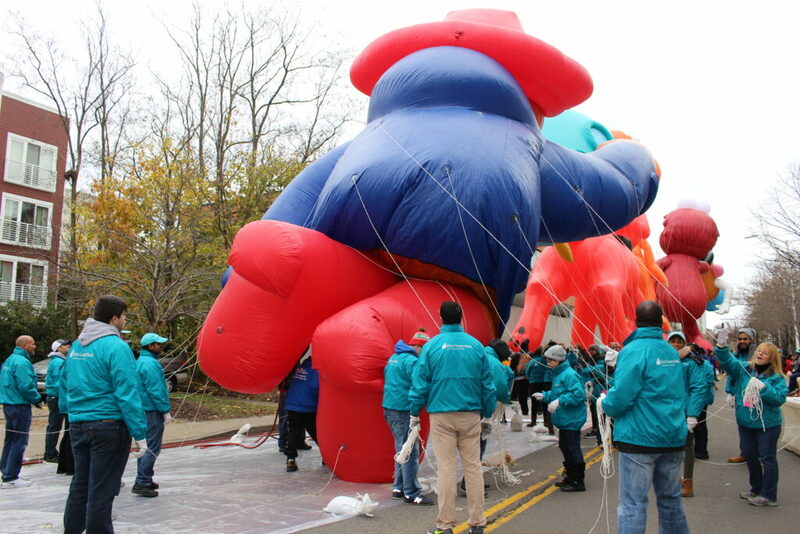 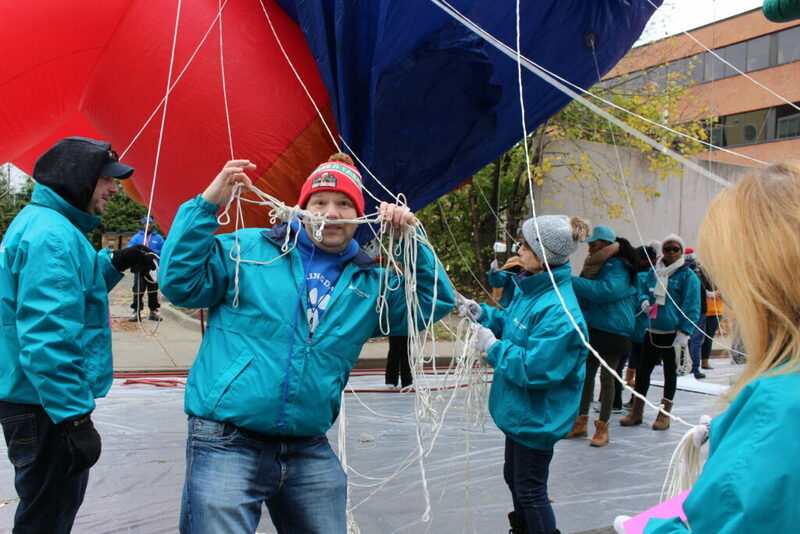 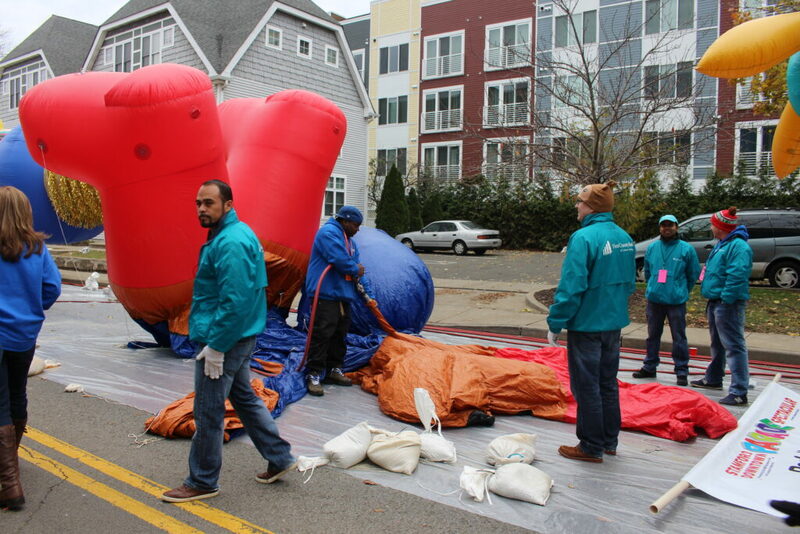 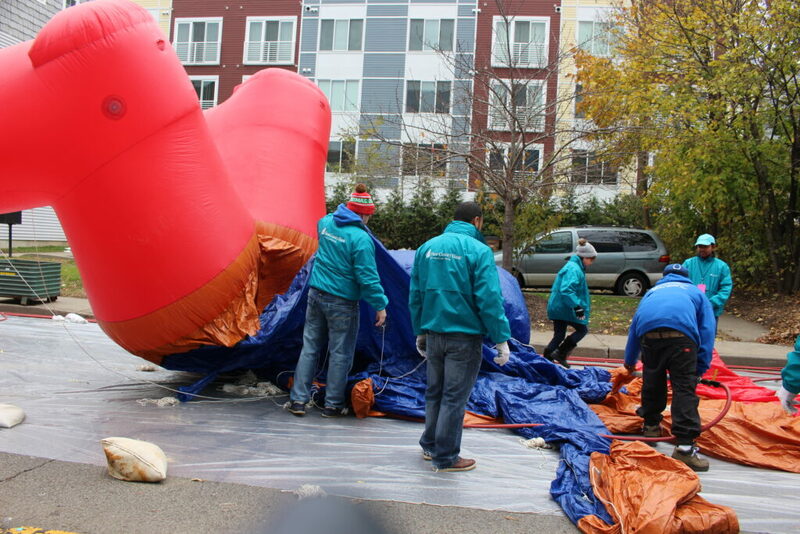 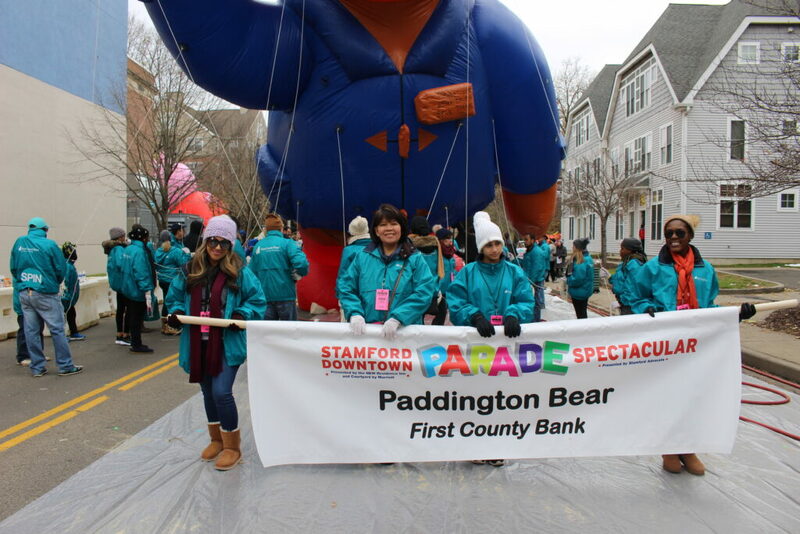 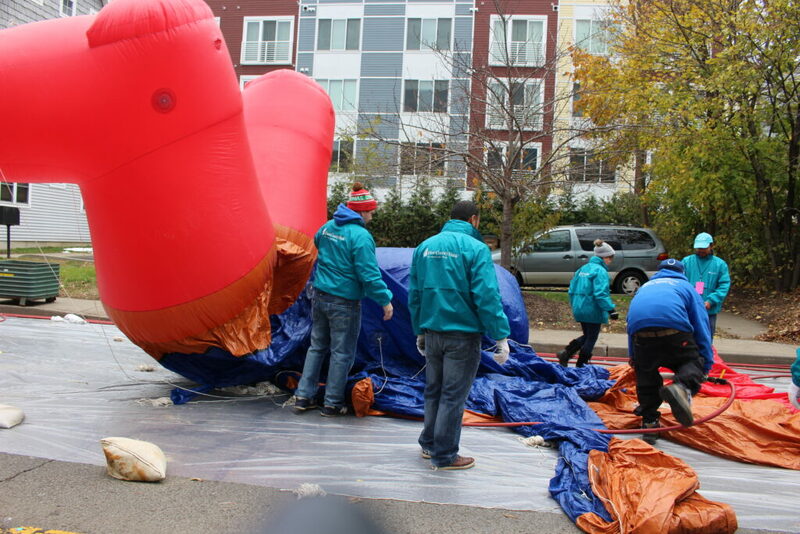 Paddington Bear took to the streets of downtown Stamford with 36 balloon handlers and more banner holders. 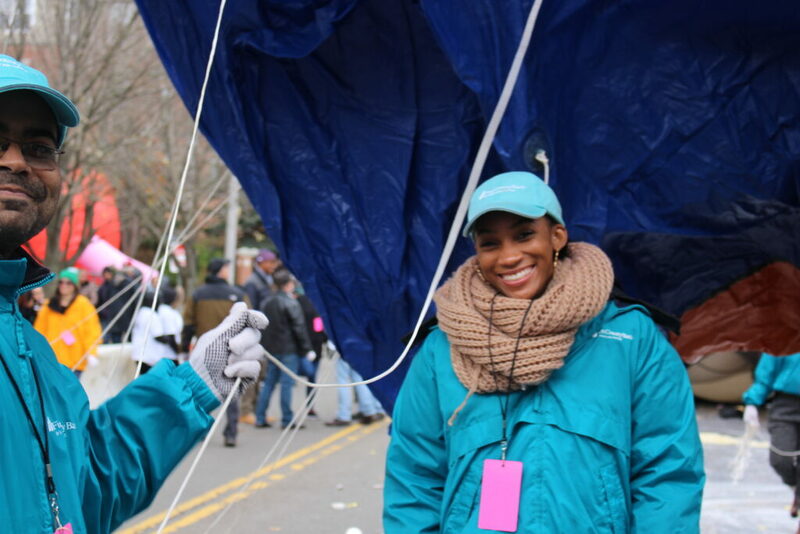 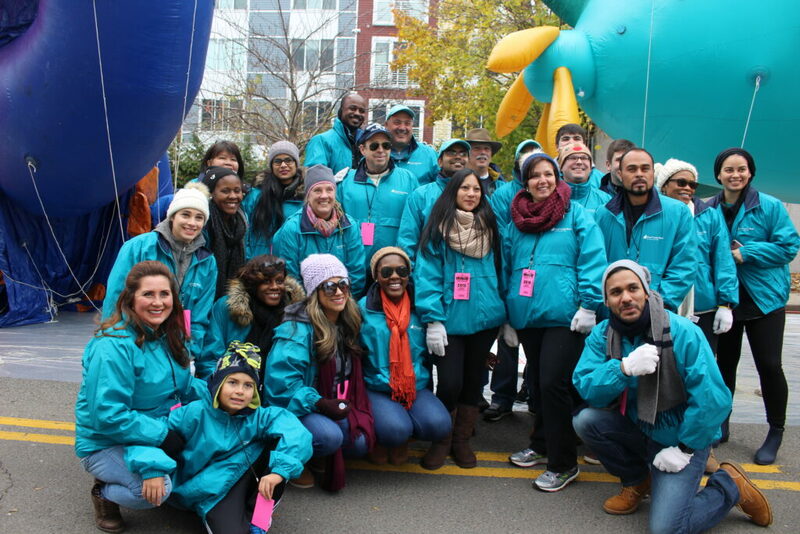 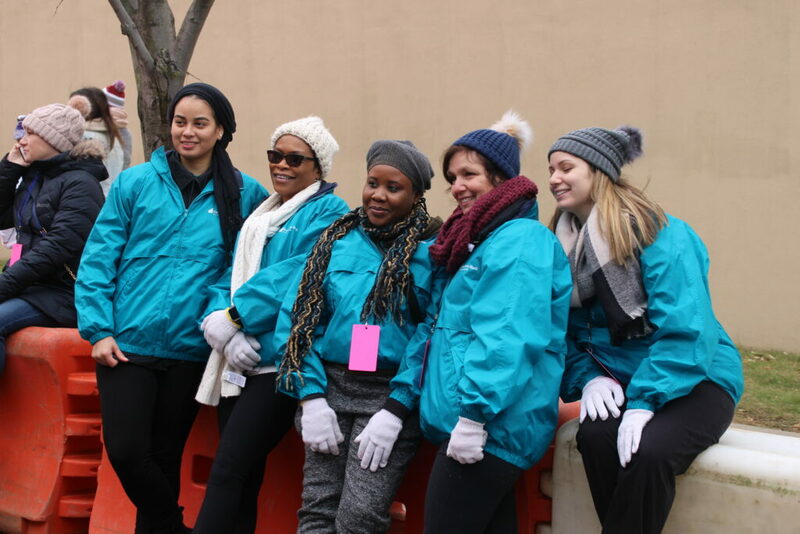 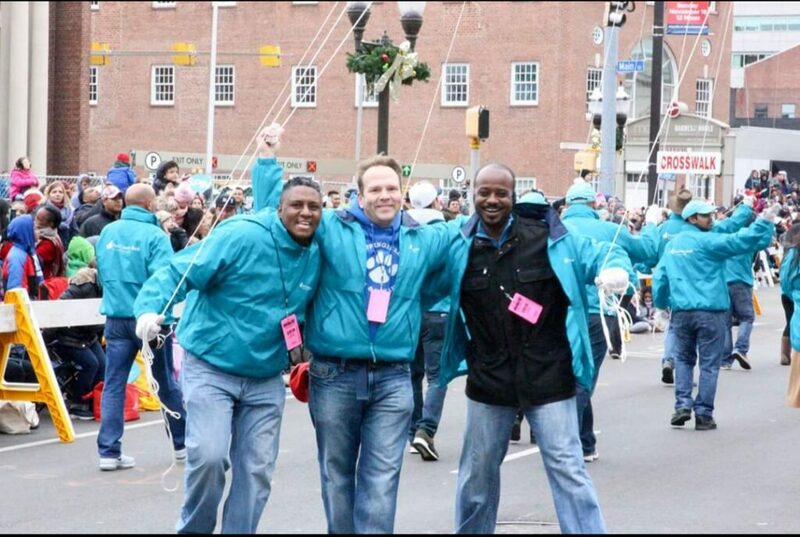 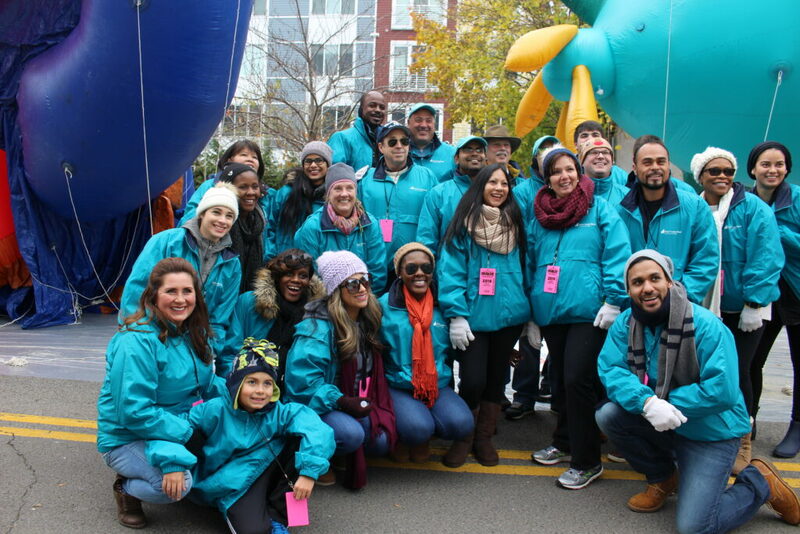 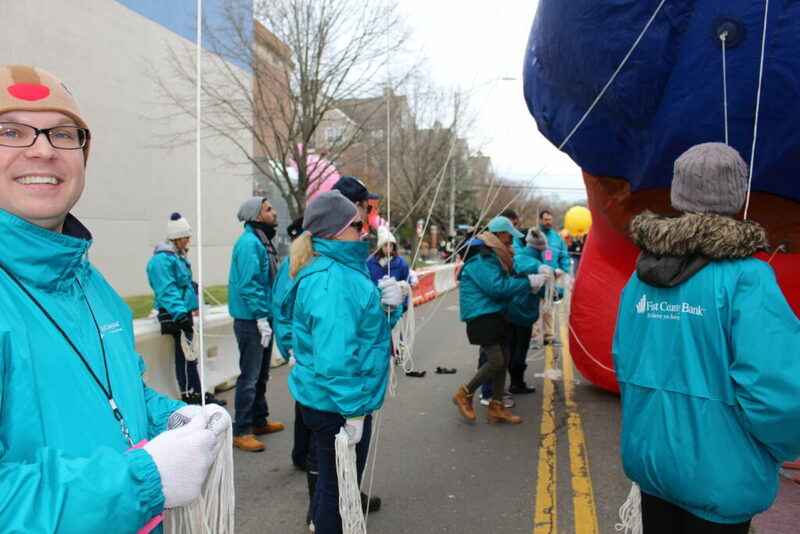 Our volunteers, and for many this was their first balloon parade, marched and spun their way down Summer Street and Atlantic Street in front of big crowds. 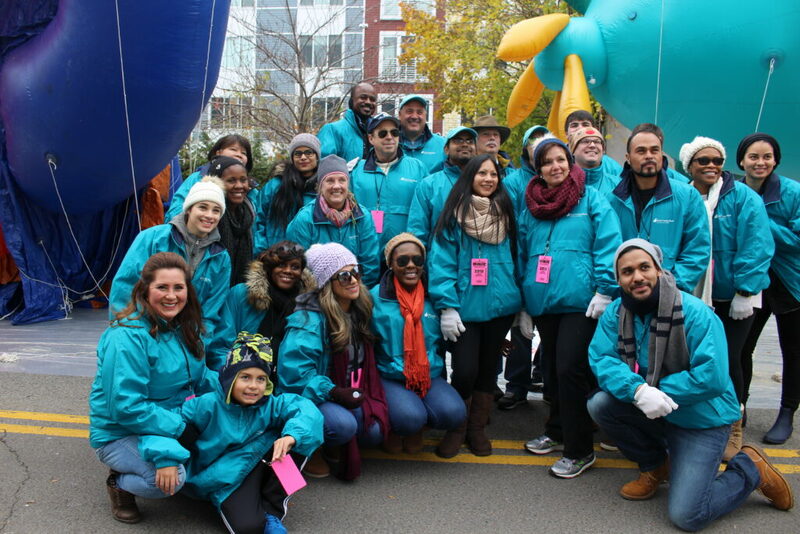 Marchers waved teal spin signs (2,500 were given out by our street teams) and followed the wild cheers of “spin, spin”. 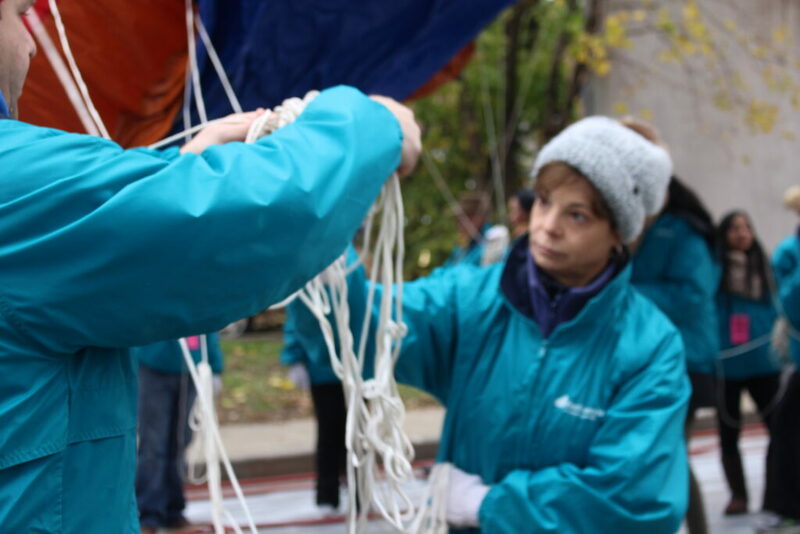 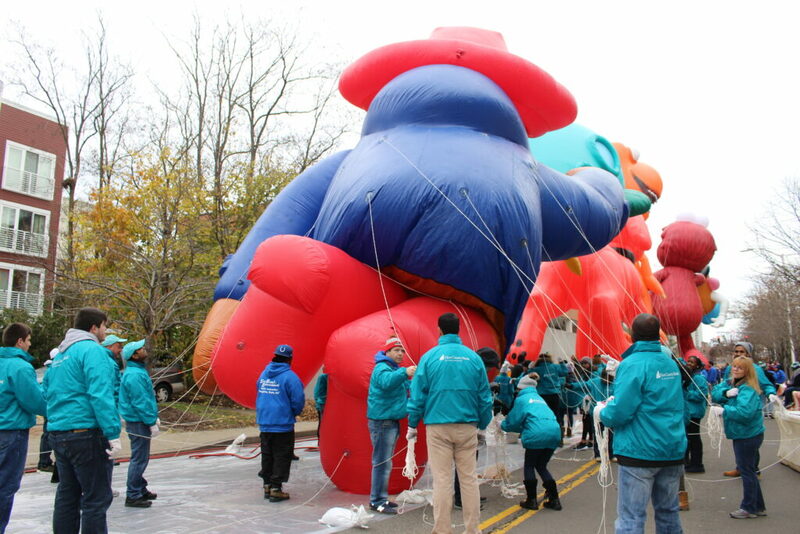 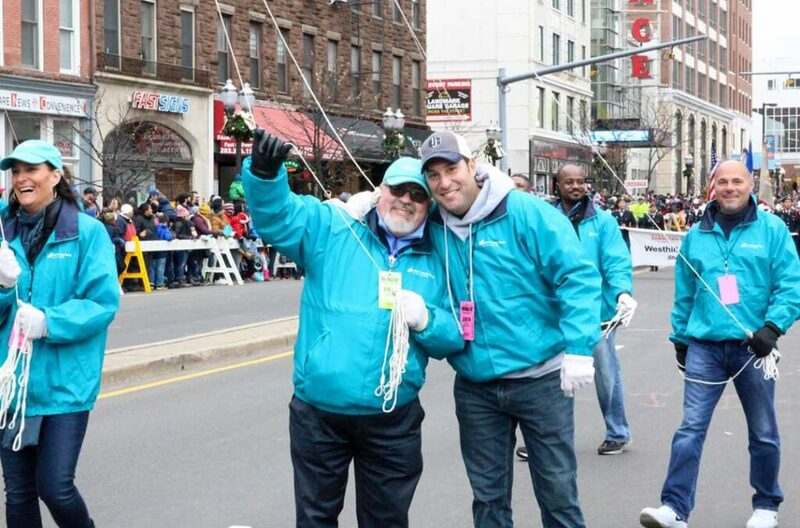 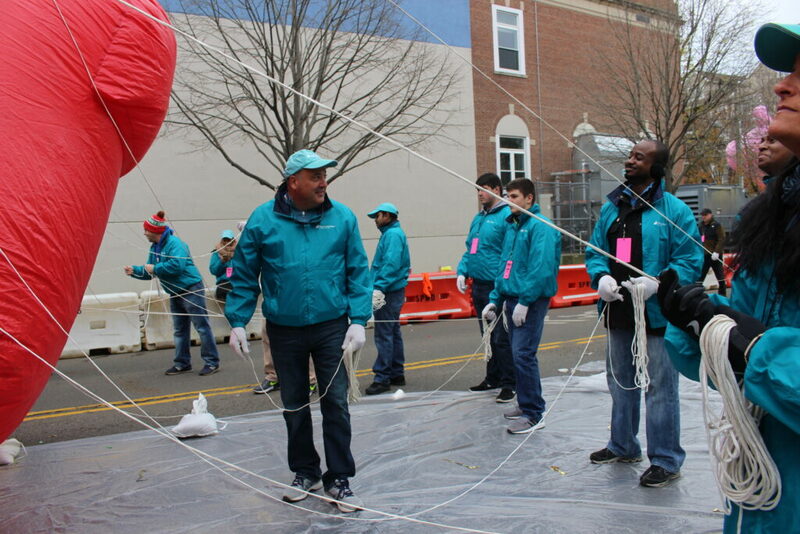 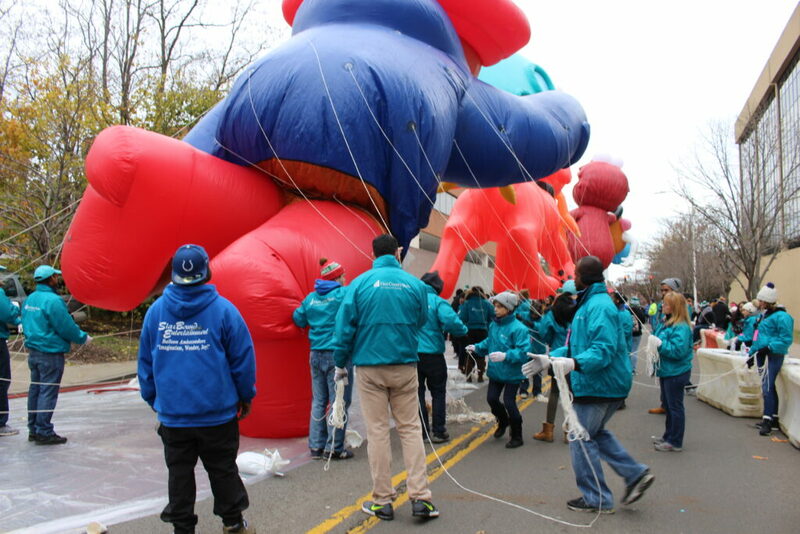 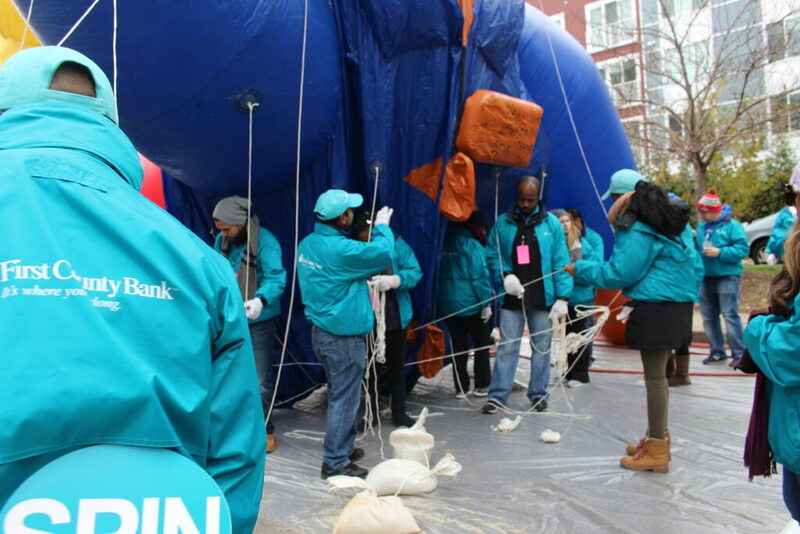 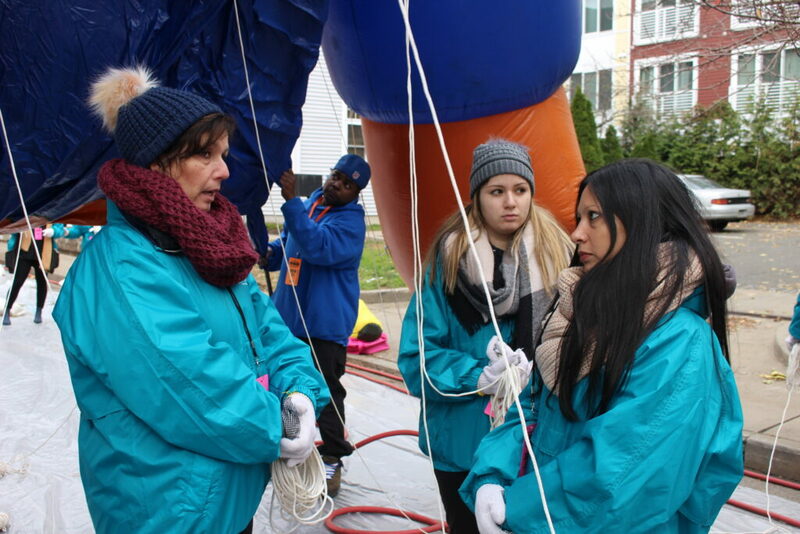 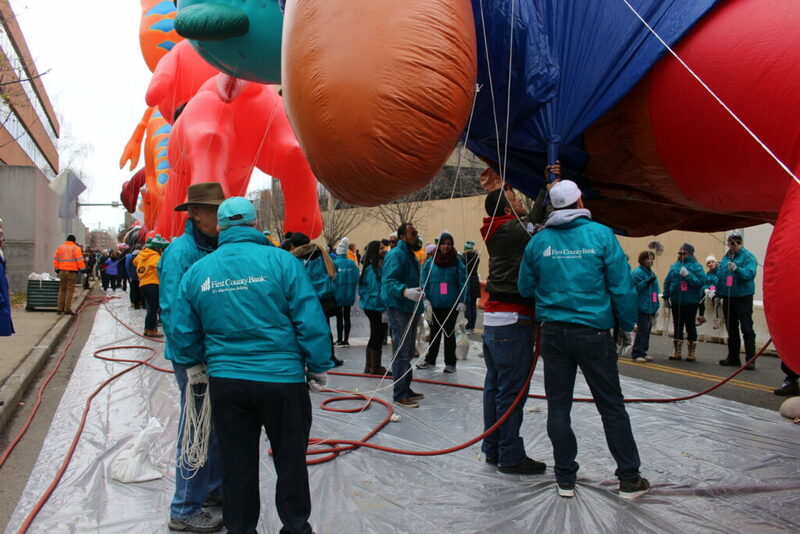 A big thank you goes out to our balloon handlers. 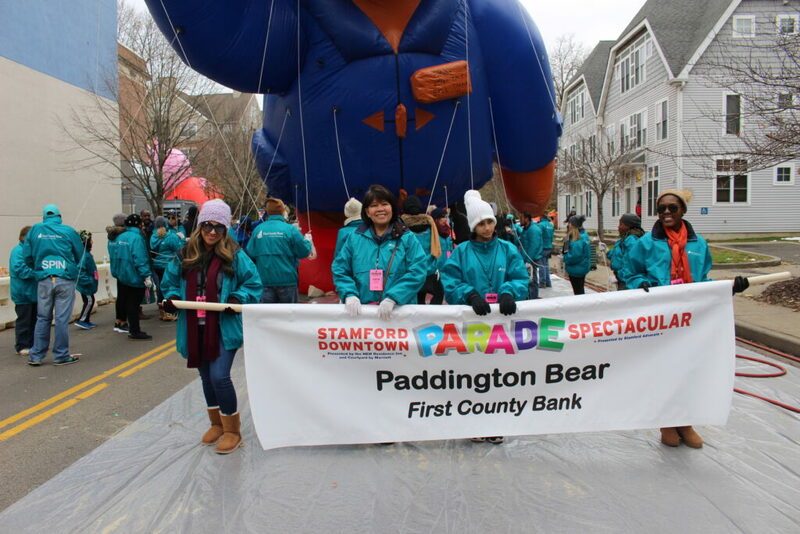 They did an outstanding job helping Paddington wave to his many fans. Thank you to the families who came to support us as well. 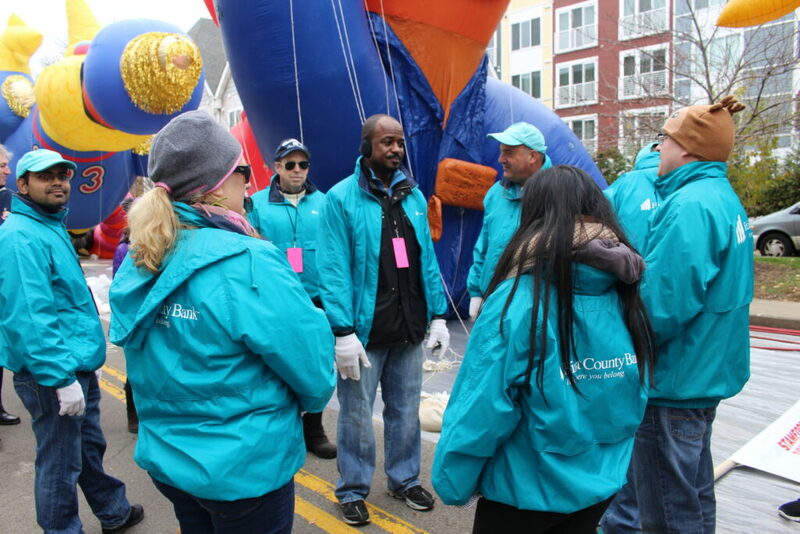 And special thanks to the Atlantic Branch and Prospect Street teams for their efforts. 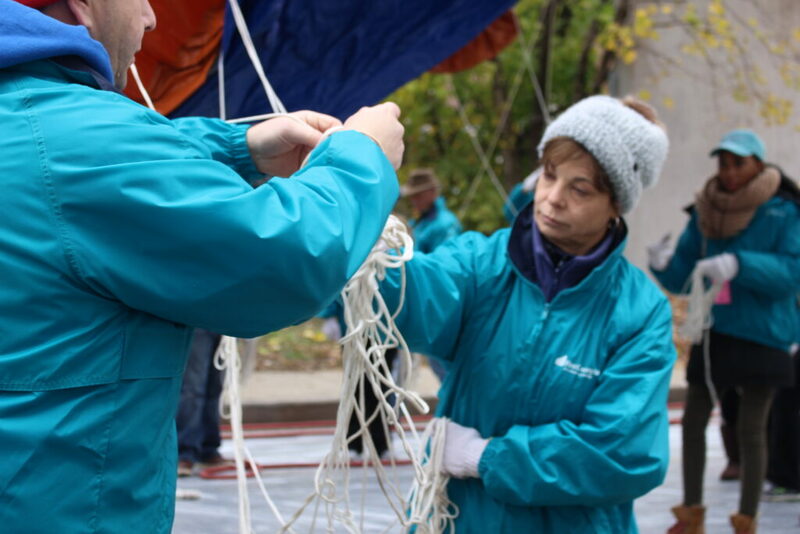 Take a look at some of our volunteers in action.